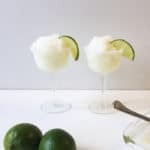 Margarita Granita is a frozen tequila lime dessert for Cinco de Mayo! Granita! 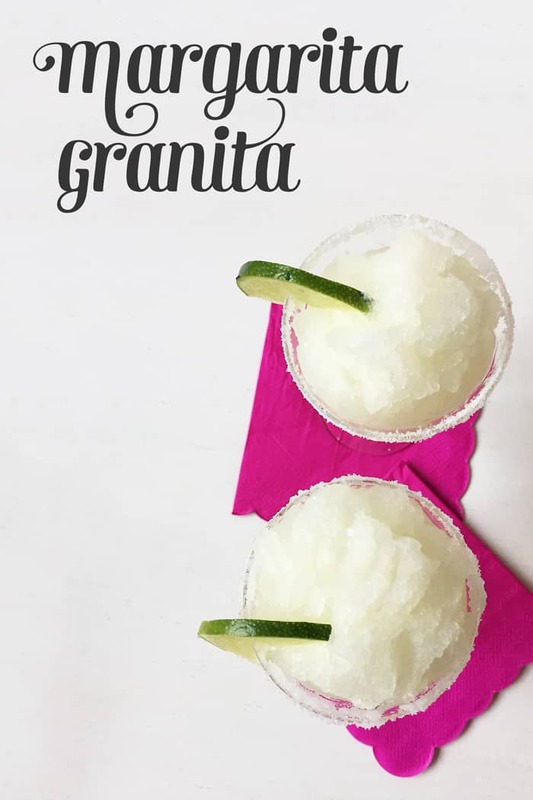 Granita! You’ve seen it here before — I’ve made a Thanksgiving-themed Cranberry Bourbon Granita and a wine-based Rosé Wine Granita. 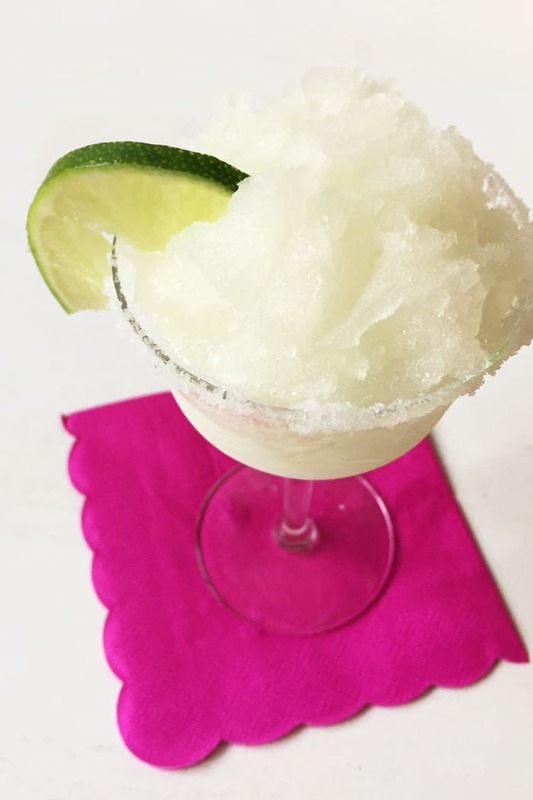 And now I bring you the Cinco de Mayo version — Margarita Granita. It just rolls off the tongue, doesn’t it? It’s the frozen dessert you’ve always dreamed of. 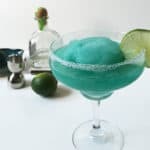 Part snow cone, part cocktail, part sorbet. It’s all of these and none of them all at once. 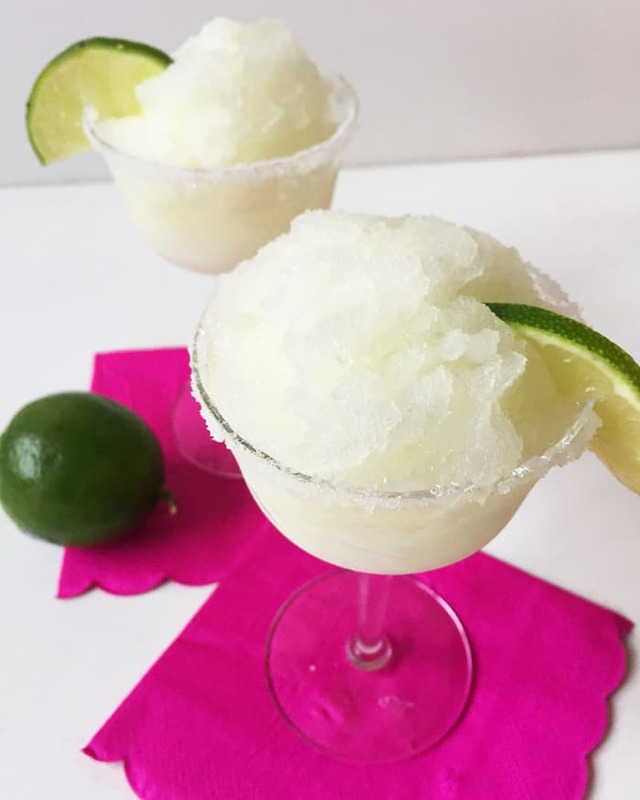 It’s a lot like a frozen marg, but you don’t even need a margarita machine! 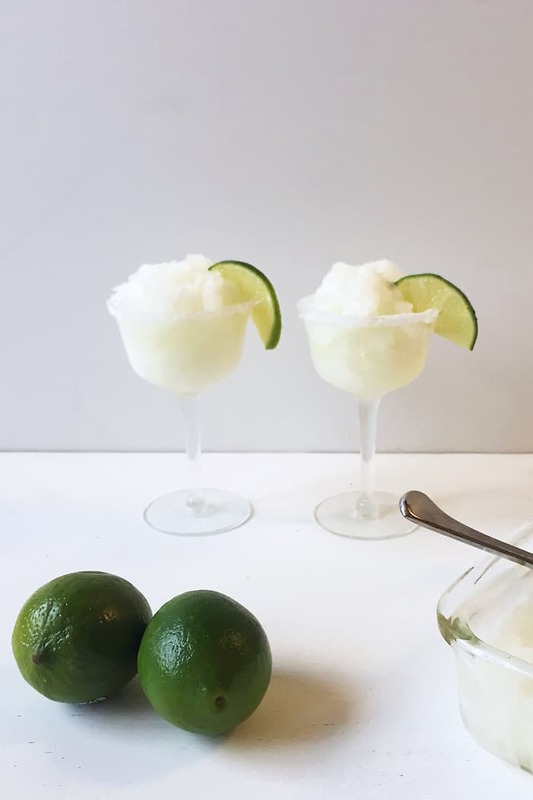 This Margarita Granita is flavored with lime juice, triple sec, tequila and sugar. I prefer a salted rim, but you can use sugar or skip the rim altogether. Whatever floats your boat. 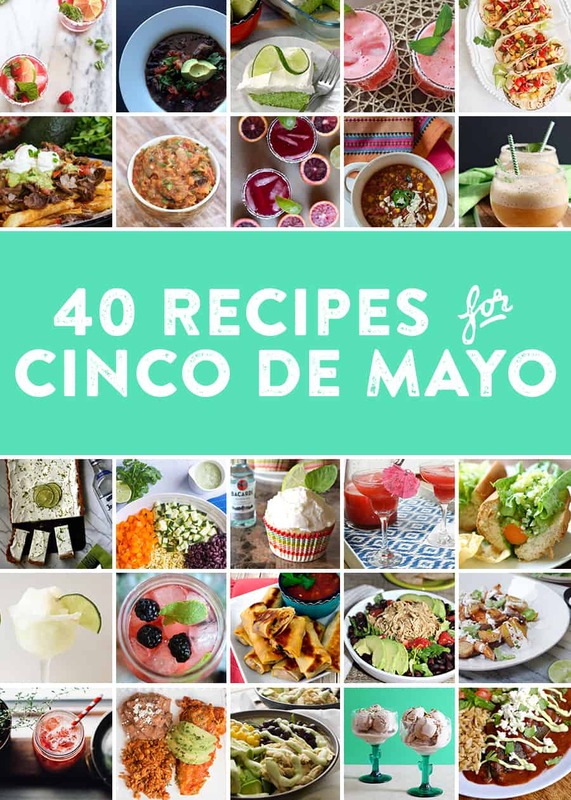 It’s Cinco de Mayo — do what you want! In a medium saucepan over high heat, stir together water and sugar until sugar has dissolved, around 5 minutes. Remove from heat and let cool. 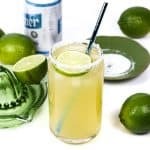 Stir in lime juice, tequila and triple sec. Pour mixture into a deep 13 x 9-inch baking dish. Place the baking dish into the freezer at a level spot until set, about 5 to 6 hours. Every hour, stir mixture with a fork to rake up the ice chips. 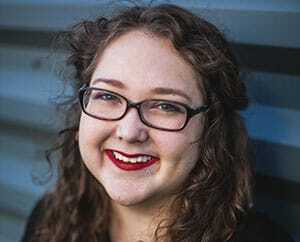 To rim glasses, place salt or sugar on a plate. 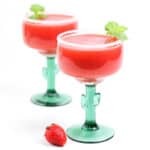 Run the edge of a lime slice around the outside rim of sherry glasses or shot glasses. Roll the outer edge of the rim in the salt until coated. 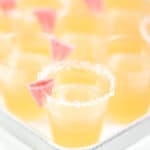 Oh man, all these Cinco de Mayo recipes are reminding me how much I’ve missed margaritas since I’ve been pregnant. This icey drink sounds soooo good! Maybe I can figure out a virgin version for this year, and save the real thing for next Cinco De Mayo! um… Margarita Granita is freaking brilliant. I’m actually excited for a hot day to try this! Girl, this looks so amazing and yummy! I never would have thought that you can make one of these without an ice machine or marg machine. Thanks for inviting me to be a part of this!